What is welding cable and what is it application? This cable use in electric arc-welding machines to power an electrode, a specially designed metal rod, that conducts a charge. Electrode need charge carry to produce an electric arc, the heat source, between electrode and metals, or other materials, being welded. This cable is made from stranded bundles of copper wire tightly packed and insulated. The wire stranding gives the cable more flexibility and resistance to wear. While the insulation adds additional protection against the harsh environments found in welding applications. And is more flexible than PVC or other rubber coatings. Welding work cable usually comes with rubber insulation, typically either Neoprene or Ethylene Propylene Diene Monomer rubber. And it is designed to be fire , water, oil, and abrasion resistant. 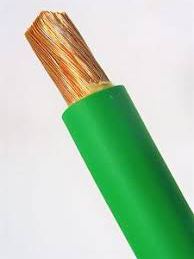 Welding cable lowes is known for its flexibility and durability. And many automatic and manual welding applications require the cable to hold up to repeated movement over rough surfaces. Automobile industry, shipbuilding, transport, steel plants, railway, refinery, oil field, automatic welding robot, construction, and coal mine can use this cable. And they are suitable for use in open spaces and in dry or damp conditions. Need this type cable? Huadong can give you a low welding cable price per foot. Please contact us. 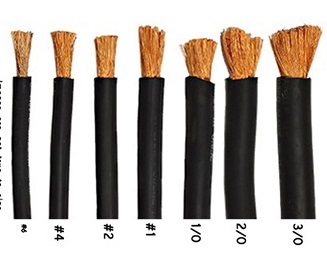 How to select welding cable manufacturers? How to get low welding cable price? Everybody wants cheap welding cable or discount welding cable, that is for sure. So how can you get it? First of all, you can compare the suppliers in local area. And you can ask your friend and relationship whether they know the welding wire prices. If you will not be satisfied with the local area, you can search cable company on Internet. You can pick a couple of company and get their welding cable price list, then compare their welding cable price. Not necessarily the cheapest one, just select the most reasonable welding wire prices. Keep in mind, shop around. But now you don’t have to do that. Because Huadong Cable Group can offer you a competitive welding cable price. As a professional welding cable company, Huadong guarantee you feel on the top of the world. Our manufacture all kinds of colored welding cable. Such as red welding cable, green welding cable, welding cable orange, blue welding cable, and pink welding cable. We can also customize according to customers’ requirement. Huadong has high-class welding cable for sale, welcome to purchase. Please leave your requirement, we will offer you the welding cable price list. Please feel free to leave your requirement, we will reply you within 12 hours.